What's the biggest triangle, which is similar to the one shown, that can be fit inside the square? 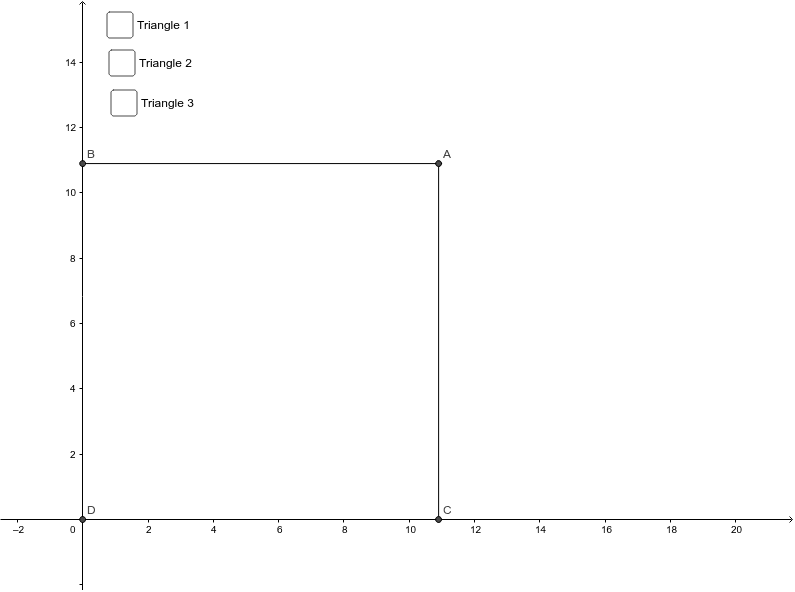 Explore and then use your results to draw the biggest triangle you can on your group's table. Calculate the area and find the scale factor between the triangle on your handout and the one you draw on your desk. You may use a calculator to help, but, of course, record what you are calculating and be able to explain what the calculations are representing. For students in Mr. Holcomb's classes: 1) How is the square shown related to the size of your group's table? 2) What is the scale factor between the square in this dynamic worksheet (DWS) and your group's table? What will be the scale factor between the area calculated on the DWS and the area of the triangle you draw on your desk? 3) In this DWS you can work with Triangle 1, Triangle 2, or Triangle 3. What's the same and what's different about these triangles? How do these differences effect how you use them?